The Conway brothers will once again be hitting the road this August & September. 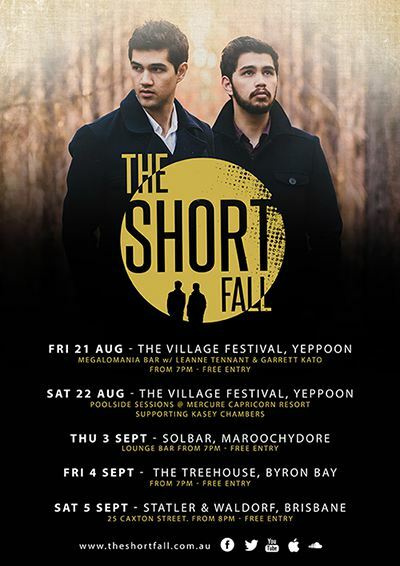 In one of their biggest supporting gigs to-date, Angelo & Ryan will open for Kasey Chambers at the Capricorn Resort Poolside sessions for The Village Festival in Yeppoon on the 22nd August. Also featured on this bill will be Powderfinger guitarist turned singer-songwriter Darren Middleton, and Brisbane songstress Sahara Beck. The brothers will then follow this up with an short run of intimate shows in Maroochydoore, Byron Bay and Brisbane.